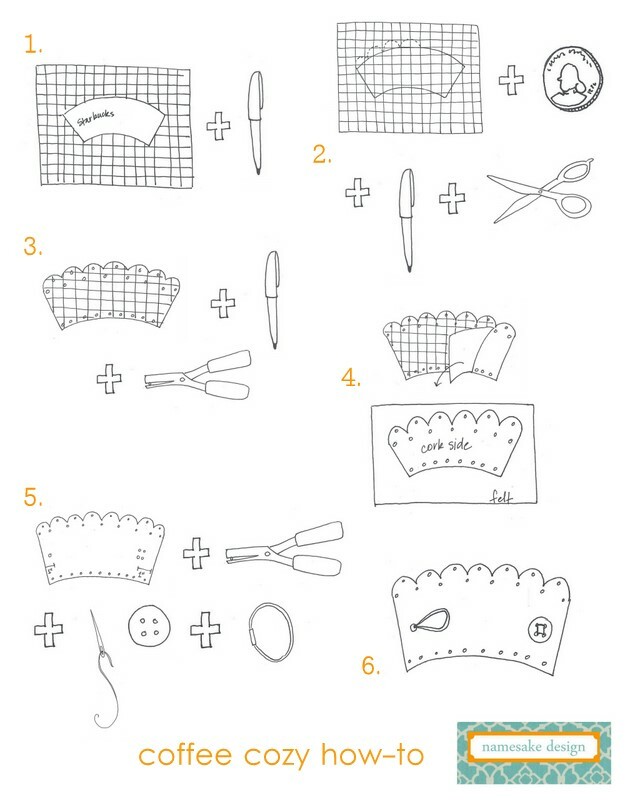 Step 2: Trace the top half of a quarter (repeat to create scalloped edge) on top of the traced sleeve image. Cut out the image. Step 3: Create a pattern with your hole punch. 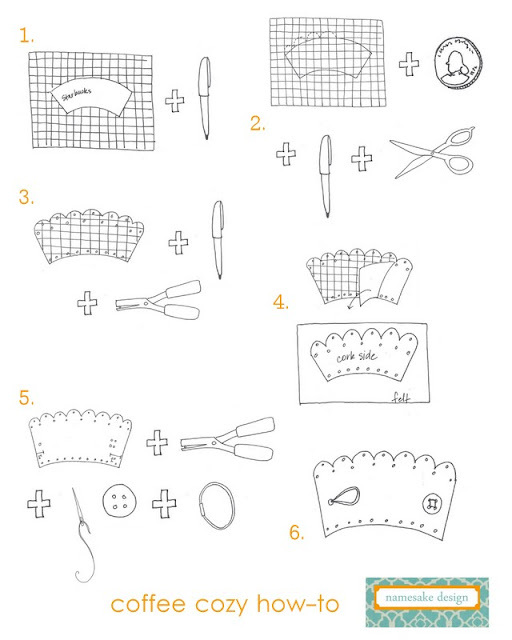 Draw dots on the grid side of the craft paper to make sure you are happy with the design. Use your hole punch to punch out your dot pattern. Step 4: Peal the grid paper off the cork and attach the cork to the felt. Smooth out any wrinkles or bumps then cut off the excess felt around the cork. Step 5: Attach the button and rubber band. Punching holes in the cork to make it easier to sew on the button. The rubber band I used had a little metal piece that helped to anchor it behind the single hole punch. Step 6: Wrap your cozy around your coffee and enjoy your caffeine in style.